Disclaimer: To keep the blog running, I have received monetary compensation for writing this blog post. Nonetheless, this is still my honest opinion & I will only write about products or events which are beneficial to you, my readers. Yup, representatives from St Anne's College of the University of Oxford will be in Malaysia to talk about how to get accepted. Also, you'll get the chance to meet & learn from your future professors. I was pretty excited when I first heard of this conference. Since it would cost too much to bring even one of my students to this event, I wanted to attend myself so that I could coach my students & share with the teachers I'm mentoring. Alas, I've got a super fun programme planned at school which will take up that entire weekend. Therefore, I'm sharing about it here so that you have a chance of getting your students there! They'll get a nice certificate too. Lucky accompanying teachers might be able to sneak in, soak in the intellectual atmosphere & return speaking like Arry Potter. If you do attend, do share what you've learned with little ol' me! 9am, Saturday, 25 July 2015. 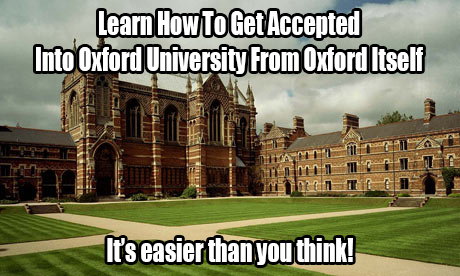 Isn't it super tough to get into Oxford? Why should I even try? Think. What would a successful person like Tony Fernandes do? It's likely that he'll find out what it takes someone who has done it before or EVEN BETTER learn from someone who is actually PART OF THE ADMISSION PROCESS. This is precisely why you should attend this conference. 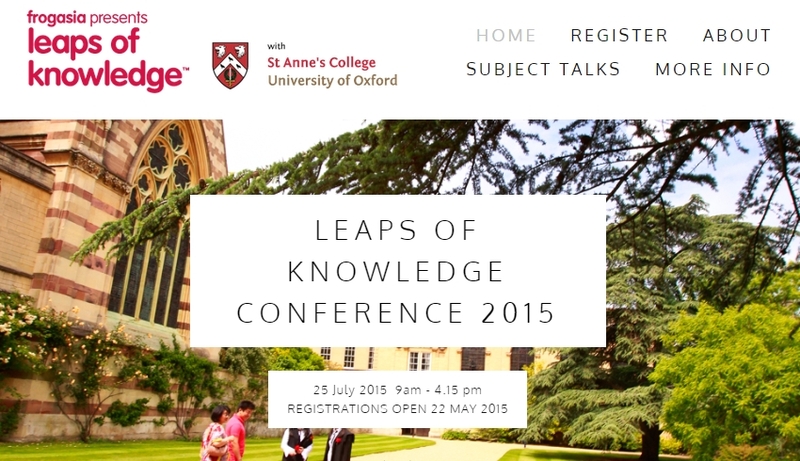 At this conference, Oxford representatives AND current Malaysian undergraduates will speak to students to aspire and apply into the University of Oxford. If you are serious about your education or getting into Oxford, there's no better opportunity to meet someone FROM Oxford as well as others like you who ARE STUDYING in Oxford in the flesh & all under one roof! It isn't impossible to get into the world's best and get an educational advantage that will help you in your future career! Carpe opportunitatem!!! Application Processes - Representatives from the University of Oxford will talk about necessary application processes for studying in the UK or applying to Oxford. Life There from the Malaysian Perspective - Current Malaysian students at Oxford and members of the Oxford University Malaysia Club (OUMC) will hold a panel discussing life abroad in the UK. You can ask the panel questions. Admission Interviews (Live) - The famous Oxford admissions interview will be demonstrated for attendees to watch. You can get a better picture of the type of questions usually asked and be better prepared. The Subjects Taught at Oxford - Professors from St Anne’s College and the University of Oxford will be talking about the subjects they teach on campus. Subjects range from Geography to Biochemistry to Law to Physics to Engineering to Mathematics to Computing to Trade and Conflict Resolution. You can better understand and identify which the subjects you would like to undertake at Oxford. Exhibits - An exhibition area will be decorated to mimic environments in the University of Oxford and Oxford town. You can take part in fun activities, speak to students from the OUMC and learn more about the Frog VLE. 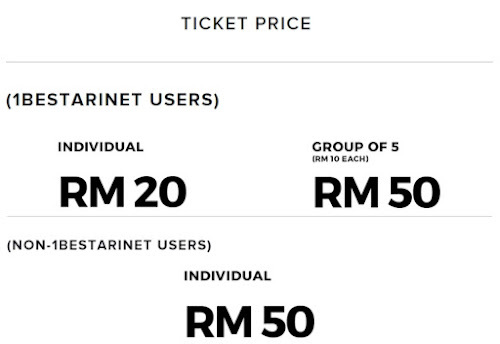 Every student in Malaysia has a 1BestariNet ID. Teachers & parents with ID can enjoy the group rate too! Retrieve your ID from the teacher-in-charge of 1BestariNet at your school. 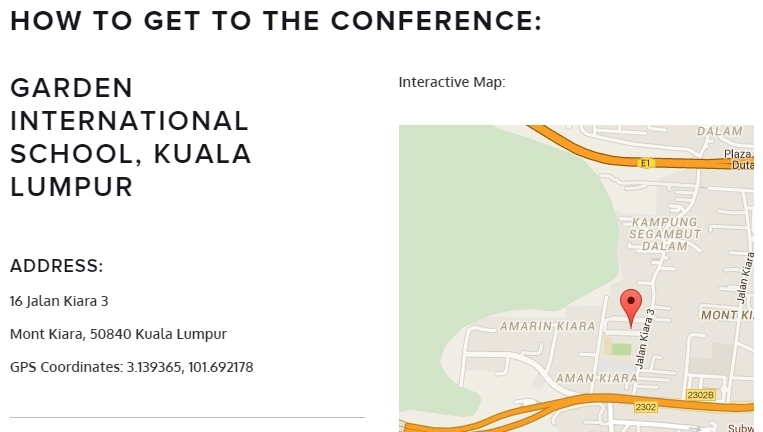 You can attend this conference for only RM10 if you find 4 other friends to join you! 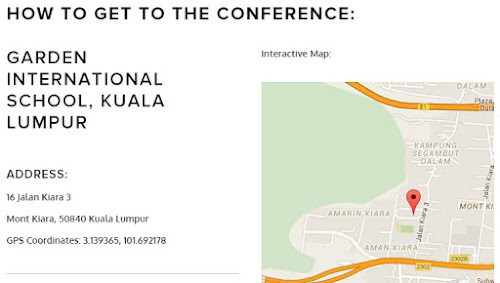 Looking at the Facebook event (above), it seems not many people know about this conference. Less people = more opportunities! If you're a teacher in the Klang valley like KL, Selangor & Putrajaya or nearby like Seremban & Ipoh, you really have to share this with your students. How far do you want them to go? Do you see their potential? Do you believe in them? Share this post with your students & encourage them to go. It's incredibly easy nowadays. Share this blog post on social media or print this poster (link required) & display it at school. Tell them to find 4 friends, retrieve their 1BestariNet ID (every student in Malaysia has one) from the teacher in-charge of 1BestariNet at school, register their 1BestariNet ID online & register for the conference at RM10 each (with the group discount). This might require a little bit of work on the side of the teacher or students but the savings are worth it. After the conference, your students might or might not come back & thank you for the opportunity. But, when these students eventually do get into Oxford or another university in the UK, you'll know in your heart that you played a part in helping them to get there & that is all the reward that you need as a teacher who is willing to give your best to see your students excel. For more information. visit leapsofknowledge.com, email the organisers at hello@frogasia.com, call the support hotline at +6018 799 8787 or contact me. Hey there, I'm Jarod Yong. I create unique learning opportunities that challenge students & empower teachers. I believe that a teacher can make miracles happen in the worst circumstances & that every student deserves a chance to shine & impact his/her community. I'm known as 'The Jungle Teacher' because I taught the English language in the jungles of Sarawak & blew people's minds. I'm hoping to do the same in my current placement & work towards becoming the director of education in Sarawak. Currently, I'm an educator in Kuching at the Sarawak State Sports School & Swinburne University. I hold an MA TESOL from Columbia University and a B.Ed TESOL from Victoria University of Wellington. I'm also a Fulbright alumni. I'm always looking to learn & develop into a real 'modal insan'. I'm hoping to mentor world-changing students & live a world-changing life myself in search of my ikigai. Have a question, a project, a cause, or a product relevant to my audience? Want to collaborate, hire, or consult me? Contact me! I'd love to hear from you! Disclaimer: The views & information presented on this blog are my own unless otherwise stated. They are not representative of my collaborators, clients, employers, or funders. "If the young are not initiated into the village, they will burn it down just to feel its warmth." "Let your light shine before men, that they may see your good deeds and praise your Father in heaven." "Everyone who asks receives; he who seeks finds; and to him who knocks, the door will be opened." "According to your faith will it be done to you." "I am sending you out like sheep among wolves. Therefore be as shrewd as snakes and as innocent as doves." "benih yang baik kalau di campak ke darat menjadi gunung dan jika dicampak ke laut menjadi pulau"
"Treat people as if they were what they ought to be and you will help them to become what they are capable of being." "We do not believe in ourselves until someone reveals that deep inside us something is valuable, worth listening to, worthy of our trust, sacred to our touch. Once we believe in ourselves we can risk curiosity, wonder, spontaneous delight or any experience that reveals the human spirit." "Tell me and I will forget. Teach me and I will remember. Involve me and I will learn." "Try not to become a man of success, but rather become a man of value." "Teaching is more than impacting knowledge, it is inspiring change." "Failure is instructive. The person who really thinks learns quite as much from his failures as from his successes." "The least productive people are usually the ones who are most in favor of holding meetings." "The only thing necessary for the triumph of evil is for good men to do nothing." "Nearly all men can stand adversity, but if you want to test a man's character, give him power." "You can easily judge the character of a man by how he treats those who can do nothing for him." Say Hi & I'll Include Your Blog Here! Beware When Using Foodpanda Malaysia!! Perlu Ke Pembantu Mengajar Untuk Cikgu Sekolah Menengah? Want A Beautiful Website That Designs Itself? Copyright © 2016-2006 Jarod Yong. All rights reserved. Awesome Inc. theme. Theme images by enjoynz. Powered by Blogger.